If you thought streaming TV shows would cut down on ads, there is bad news coming. 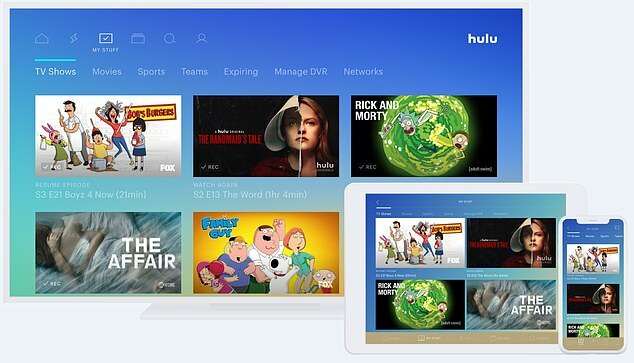 Hulu has revealed plans to introduce 'pause ads' in Q2 this year. They will trigger an ad to play every time the user presses pause. Hulu has revealed plans to introduce 'pause ads' next year, which will display for 'a few seconds' every time the user hits the pause button. Hulu says the pause ad will let users pick their own breaks, instead of being shown ads at set intervals. Every time the pause button is hit, an ad lasting 'a few seconds' will run. 'While TV viewing behavior has changed, TV advertising really has not,' Jeremy Helfand, vice president and head of advertising platforms for Hulu, told Variety in an interview.